Hi from Las Vegas, where I'm with more than 180,000 of my closest tech industry friends. I'll be at CES this week to bring you highlights from the formal events, the show floor and the all-important party scene. Quickly catch up on all the key announcements here and keep watch on our tech stream. 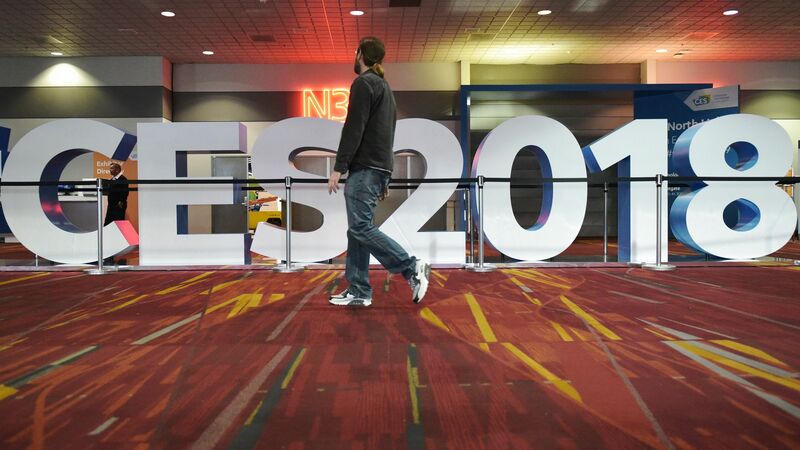 While the biggest tech breakthroughs probably won't show up in Las Vegas this week, CES is still a good place to see where the industry as a whole is placing its bets. It's a fierce battle between Amazon and Google to get their assistants included on other companies' devices. As the same time, hardware makers including Samsung, LG and Roku are putting their own voice assistants into their products. Note: These trends aren't mutually exclusive. For example, Samsung's Bixby exists alongside Google Assistant on phones. Similarly, LG ships its TVs with both its homegrown and Google's assistants. What to watch: TVs and cars are among the key battlegrounds, but assistants are also finding their way into everything from cooking appliances to bathroom fixtures. Bixby, for example, is being added to Samsung's Family Hub refrigerator, while Amazon's Alexa is coming to ovens and microwaves. TVs galore: TVs always have a prominent spot at CES. In addition to the voice assistant integration, LG is showing a large rollable model, while Samsung showed a giant 146-inch TV — "The Wall" — made up of a new technology, called microLED, that it says eliminates the need for backlighting. Connected cars: The intersection of car tech and consumer electronics will once again take center stage, with autonomous technology startups showing off their vehicles and big car companies partnering with tech giants. The Verge says virtual reality "will fade into the background and [augmented reality] will rise to the forefront." CNET says "CES 2018 is critical for Samsung" and expect to see its Bixby voice assistant in more things. VentureBeat's Dean Takahashi predicts, among other things, a crop of crazy priced "smart" gadgets like last year's $1,200 shower head (which Moen announced now has Amazon Alexa compatibility). Highlighting the growing intersection between cars and consumer electronics, chipmaker Nvidia announced a series of big auto partnerships Sunday. Volkswagen is working with Nvidia to expand its use of AI in the car to process sensor data inside and outside the car. Its efforts span from making convenience features like using biometrics to unlock a car to promoting technologies for safety and autonomous driving. Uber is using Nvidia's technology to power both its self-driving cars and trucks. Separately, Nvidia said it is working with Baidu on a self-driving car computer for China and said Xavier, its latest chip for cars, will begin reaching customers this quarter. Xavier is the key ingredient in Pegasus, the in-car computer that Nvidia says will allow robo-taxis to move into production. shortédition, a French publisher's kiosk that prints out short stories based on how much time you have to read. It's already in a bunch of French train stations and just raised a couple million bucks from investors including Francis Ford Coppola. Spartan Underwear, briefs that boast they can "Protect your nuts from cellphone radiation!" Hip'Air, a belt with airbags to protect seniors during falls. Foldimate, a large gadget that promises to help fold laundry in four minutes. Before you get too excited, it was here last year and isn't shipping until at least next year and will likely cost close to $1,000. And that's before the show floor even opens on Tuesday. I hope to be back with a rundown of even more eclectic gadgets later this week. Activist hedge fund Jana Partners and the California State Teachers’ Retirement System have written a letter to Apple asking the tech giant to address the issue of teens and children overusing iPhones, the Wall Street Journal reported on Sunday. Why it's important: Both are investors in Apple and together control $2 billion worth of shares. The big picture: Big Tech, once the darlings of Silicon Valley, is facing a reckoning in Washington and around the country. The most recent backlash against Apple spurs from the discovery that the company was slowing down some older iPhones. Axios' Erica Pandey has more here. An intimate, artisanal tech gathering takes place in Las Vegas. Ahead of a planned IPO, Spotify chief content officer Stefan Blom is leaving the company, per Recode. Former Wall Street Journal reporter (and my former colleague at Recode) Amy Schatz is joining Glen Echo Group as a director. Most recently, Schatz was VP of media affairs at USTelecom. Chinese drone maker DJI said its 2017 sales likely reached $2.7 billion, TechNode reports. The company has also hired Verge drone journalist Ben Popper for a communications role. Several of the researchers who discovered the big chip vulnerabilities are offering up the backstory. Austria's Daniel Gruss talked to Reuters, while Anders Fogh posted his own blog here. Trivia app HQ now has 1 million players, per The Verge. What's the sound of one penguin falling? A lot of penguins laughing. The dealer and I both have a 12. Should I hit?